With the 2018-19 season in the rearview mirror and state champions crowned, postseason honors continue for high school basketball teams. And recently, the Big 10 Conference announced its all-conference boys’ basketball team. Bridgeport High School managed to land a trio of selections on the squad selected by the league’s coaches. The Indians had two members on the first team and one on the second team. Nick Stalnaker was the Indians’ first team selection. The junior was the Tribe’s leading scorer with 14.8 points per game in 24 outings. Stalnaker had a season-high 38 points against Robert C. Byrd in a regular season contest. 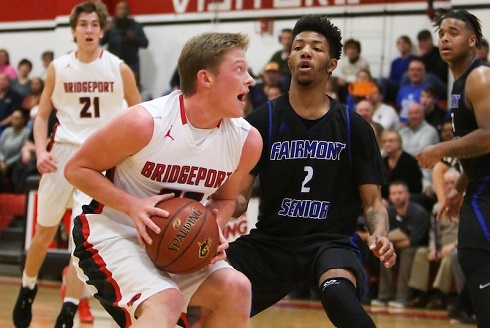 Senior Jake Bowen was the other first team pick for Bridgeport. Bowen was the Indians’ second leading scorer this year by averaging 12.4 points per game; most of it coming from inside. Bowen scored a season-high 27 points in a home game against Elkins. “I’m real pleased because both are very deserving to be on the first team, and one of the biggest reasons is because they both work hard,” said Coach Mike Robey. “Jake does the little things every night that don’t always show up in the scorebook from rebounding to running all out on the break that makes a difference. BHS’s Tanner Bifano earned a second team selection on the Big 10 squad. 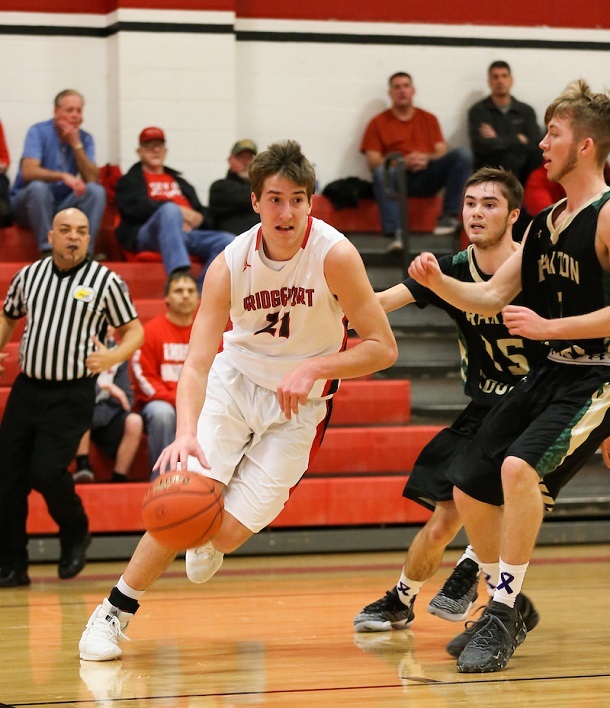 Bifano averaged 12.2 points per game this year for the Indians from his center position and twice had a season high of 20 points (Liberty and Preston). The Big 10 had co-players of the year and they came from the same school. Class AA runner-up Fairmont Senior’s Jalen Bridges and Zyon Dobbs were selected for the honor. The rest of the first team selections included Robert C. Byrd’s Khori Miles and Tanner Kennedy; Elkins’ Elliot White; Fairmont Senior’s DaSilas Jones; North Marion’s Gunner Murphy; Philip Barbour’s Levi McAdam; and Lewis County’s Shawn Moran. The rest of the second team selections included East Fairmont’s Ben Underwood; Elkins’ Donovan Wiles; Grafton’s Jack Faulkner; Liberty’s Chance Howell; Preston’s Nick Smith; North Marion’s Robert Murphy; Lincoln’s Zach Snyder; Fairmont Senior’s Jaelin Johnson; and Robert C. Byrd’s Gavin Kennedy. Elkins’ Amrit Rayfield was named Coach of the Year. Editor's Note: Top photo shows BHS senior Jake Bowen, while junior Nick Stalnaker is shown in the second photo. Senior Tanner Bifano drives to the basket in the bottom picture. All photos by www.benqueenphotography.com.